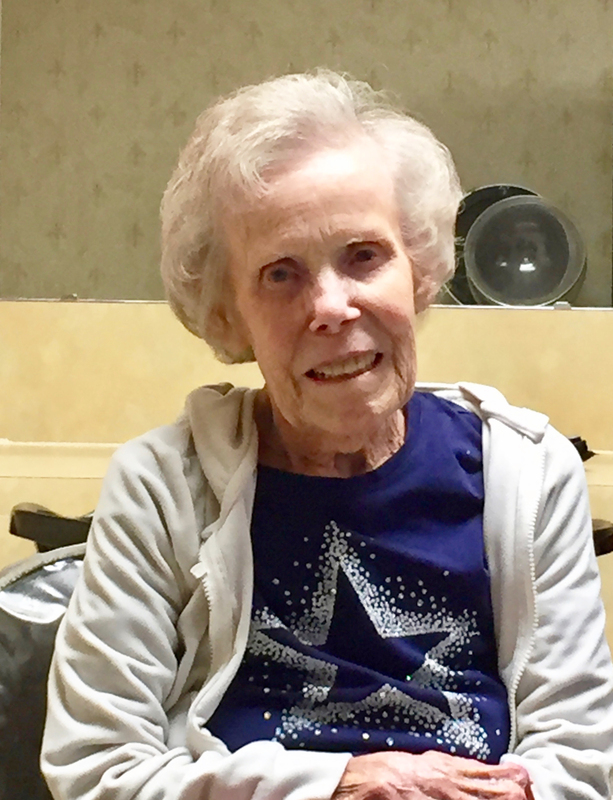 TOPEKA — Olive June Greene Meggison of Topeka died Wednesday, Aug. 15, 2018, at Lexington Park Health and Rehab, Topeka. She was 89. She was born July 3, 1929 in Murry, Neb., the daughter of Joseph Newton Greene and Stella Pike Greene. She grew up and attended schools in Union, Neb. On December 28, 1936 she was united in marriage to Donald Lee Meggison. They shared over 44 years of marriage before the death of her husband on Nov. 23, 1990. She worked for AT&T in Topeka, where she mapped out phone lines. She was a member of the Carbondale VFW Ladies Auxiliary, where she served as president. She was very active in the VFW. She enjoyed traveling and going to the Lake of the Ozarks spending time with family. She also enjoyed playing scrabble and dominoes. Besides her husband, she was preceded in death by her parents; two brothers, James and Kenneth Greene; and two sisters, Edna Ried and Dorothy Greene. She is survived by two daughters, Connie J. Altieri and husband, Michael, Laconia, N.H., and Debra A. Myers and husband, Anthony, Topeka; two grandchildren, Heather Wilder and husband, Michael, Waltham, Mass., and Megan Moffett-Fitzpatrick, Framingham, Mass. ; and four great-grandchildren, Brendon, Abigail, Bryce and Elle. Funeral services will be held 11 a.m. Wednesday, Aug. 29, 2018 at the Carbondale Church of Christian Fellowship, 430 Commercial St., Carbondale. Interment will follow at the Carbondale Cemetery. The family will receive friends before the funeral service at 10 a.m. Wednesday, Aug. 29 at the Church. Memorial contributions may be made to VFW Ladies Auxillary, Topeka, and sent in care of Greenwood-Roberts Funeral Home, P.O. Box 268, Overbrook, KS 66524. Condolences may be sent to the family through www.lamb-roberts.com.